Thanksgiving is one of my favorite holidays. What can be better than copious amounts of food, abundant laughter, and an amazing time to catch up with family and friends? The downside is there is always SO much pressure for the food to be delicious and potentially coma inducing. Here are some tips and easy recipes to make your day go off without a hitch. I’m not a huge fan of everyone gathering in the kitchen when I’m cooking, it is inherent. Growing up, my grandmother, mother, and aunts would kick us ALL out of the kitchen because they wanted time to themselves and us out of the way so no one got hurt. What does everyone who isn’t cooking do? We created a scavenger hunt that lasted at least an hour. It got all the non-cooking people out of the house and gave them something fun to do. We’ve had the younger children in our family create a talent show. Again, it keeps them occupied and out of the way and everyone entertained. Monopoly is also an excellent way to capture interest. My family is pretty savage with monopoly so it doesn’t get played a lot. These are just some ideas to keep things moving as smoothly as possible. For the cooks in the family, these tips can be helpful so it isn’t a mad dash to the finish line. 1. Plan ahead. There is no rule that you have to cook EVERYTHING the day of. I like making dishes that will hold well a day or two ahead of the event so I have more time to spend with family and friends. If you really want to impress your friends when they ask about your piecrust, tell them you used SABBLAGE. That is a super fancy French way to say you cut the butter into your flour. Method: Combine all of your dry ingredients in your food processor, pulse to combine. Add a little bit of butter to the food processor at a time and pulse. It should look like sand. When the sand texture is achieved, you can begin adding the cold water a tablespoon at a time. YOU MIGHT NOT NEED ALL THE WATER. Continue to add water and pulse the dough until it just comes together. It will look like sand castle sand where it holds together but might crumble to the touch. Turn it out on the counter and gently shape into a disk. Wrap in Plastic and freeze for at least 30 minutes (this allows the dough to rest so it is great for rolling) or up to 3 months if you are making it ahead. Use this dough as you’d like and never buy store bought again! 2. Enjoy yourself. I like to begin cooking in the morning by getting all my ingredients together and then having a cup of coffee. If I’m cooking in the evening I channel the likes of Julia Child and pour a glass of wine, one for me and one for the pot. 3. Make food you like because there will be leftovers. Just because the aunt you see once a year likes turnips, doesn’t mean you have to make them. I like the creamy texture of Yukon gold potatoes so those are my preferred potato for mashers. If you are counting calories, AVOID THESE LIKE THE PLAUGE. I use equal parts putter and potato. I begin my potatoes in cold water for two reasons: 1, the cold water keeps the potatoes from oxidizing and 2, the cold water keeps the potatoes from becoming gummy. Method: Add potatoes to pan with cold water just to cover. I don’t like using a ton of water because I don’t want the potatoes to become waterlogged. Turn up heat to high and boil until just tender. *********THIS WILL DIFFER FOR EVERYONE DUE TO THE SIZE YOU CUT YOUR POTATOES. THE SMALLER THE CUT, THE QUICKER THEY WILL SOFTEN. You will have to be super careful with tiny cuts because they potatoes can over cook more easily. I like to test the potatoes with tongs. If I use very little pressure and the potato breaks apart, they are done. Strain Potatoes well. Return pot to the stove with the burner OFF, add drained potatoes back to pan mash with hand masher. If using a food mill or ricer, once the pan is back on the stovetop, add your ricer to the pot and pour potatoes in then begin working them through the equipment. Add the butter and work into the potatoes by hand (with the rubber spatula) until all the butter is incorporated. YOU CAN COVER THIS AND REFRIGERATE UP TO 3-4 DAYS AHEAD OF TIME. Even if you make one or two things ahead of time, it makes Thanksgiving day that much more enjoyable. You don’t want to miss a moment of the Macy’s Parade or any of the college football. Happy Thanksgiving. Howard’s is coming to the crossroads! Check out this article on Recommended Daily for all the details! Friend That Cooks personal chefs in Wichita and Kansas City offer weekly meal prep for families with busy schedules, food allergies or special diets. Learn more at http://www.friendthatcooks.com. One of my customers recently purchased 30 Pyrex rectangular 3-cup glass storage dishes to put their weekly meal prep individual meals into. I like them. They are a great size container for an individual meal portion, and unlike the plastic containers we usually use, they can go straight from the refrigerator into the microwave or the oven. That makes it easier for the family and cuts down on dishes to wash. I usually prepare 24 meal portions for them and the extra dishes provide storage for extra sides or sauces that go with the meals. If you are currently having your meal prep portioned into individual containers, I suggest going to the Pyrex site and investing in some glass containers. I’m providing a link to their website and they are currently on sale for $3.24 apiece. They are regularly $6.49. Friend That Cooks personal chefs in Kansas City and Wichita offer weekly meal prep for families with busy schedules, food allergies and dietary restrictions. We will shop, cook, clean up and leave your refrigerator stocked with healthy, delicious meals to reheat. Friend That Cooks has donated a cooking party for 8 people to the Tanganyika Wildlife Park Twilight Tour fundraiser event this Saturday the 11th! Chef Laura Sterling is going to be showing the winning bidders how to make 4 incredible dinner courses while they hang out, ask questions and drink wine! Now THAT’S a party! Get more details about the fundraiser in Wichita here. What happened to the rest of Rex Ryan? Way to go Rex Ryan. I’ve seen first hand how much lap band surgery can do for people who struggle with their weight. Rex Ryan looks like a completely different person nowadays. Best wishes to all those I met at the Malley Surgical Center lap band support group. 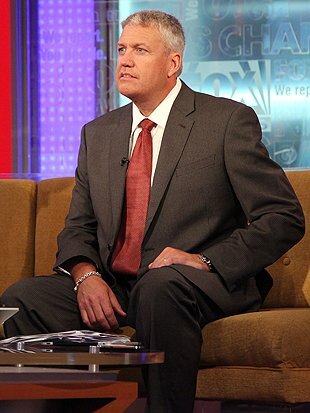 I hope your journies are as successful as Rex Ryan’s. Southwest seasoned ground turkey and rice with queso fresco cheese stuffed into sweet bell peppers and roasted with fresh tomato sauce with cumin. Served with roasted brussel sprouts and black eyed pea and coriander salad.